Thank you for all your kind words after my last post, The Summer That Was Quiet and Hard. Knowing that the whole self-contempt, identity issue is something many of us face, I wanted to share a few books that are helping me think through it all. This past month or so of reading has been completely out of the ordinary. I am usually a novel girl, as in, I read lots of novels and throw in a few nonfiction books here and there for good measure. But when you’re trying to figure out a lot of real life and you feel like you’re wading through deep waters, a thirst for help and wisdom and true stories from other travelers along the path is all that will do. And I gotta say, a couple of these books that just came out in the last two months are amazingly wonderfully. 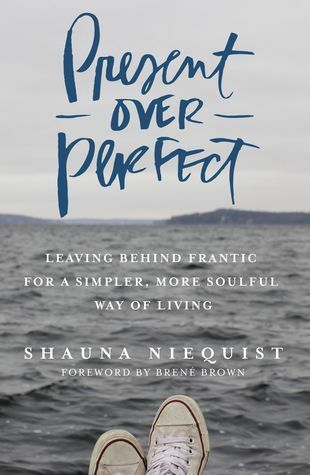 I put Shauna Niequist’s Present Over Perfect on my Spring TBR list, hoping to get an early release copy. I didn’t get one, but it was God’s goodness to me that I didn’t and that somehow I didn’t even get around to buying it the day it came out. I waited to read it until the very end of August. There could not have been a more perfect book for me to read at that very moment in my life. This surprised me, because I actually thought before I started the book, “I’ve kind of heard a lot about this message –the slow your pace, pay more attention to the present message–lately and I’m not so sure this book is going to have anything new to say about it.” Let me tell you, I was wrong. Present Over Perfect bowled me over. It was this book that helped me recognize the self contempt I was feeling, and the one that gave me some tools to start waging the slow thought-battle against it. Niequist has so many good things to say about how we define ourselves and what our defining measures can do to our lives, in good and bad ways. I want to read it again right this minute. I hope you pick it up, and I hope it is the huge gift to you that it was to me. Edie Wadsworth of Life In Grace has been writing her memoir for three years. This is one of those, “I wasn’t going to write a memoir but a publisher asked me to” situations that makes aspiring writers jealous and angry, but I am really glad that Wadsworth wrote it, no matter what the process was. 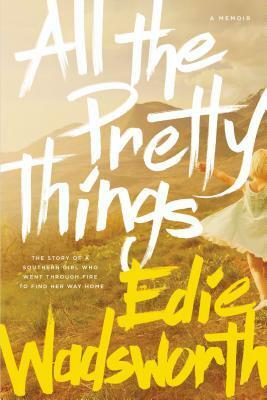 All The Pretty Things is a book I couldn’t put down. Edie grew up in rural Tennessee, the daughter of dysfunction and love. Her family and her story will make you laugh and cry in sequence over and over again. I loved it. If you’re a fan of The Glass Castle by Jeannette Walls, this book is definitely your cup of tea. I liked it even better than Walls’s memoir because of the huge measure of hope and redemption on every page. I bought this book. I love books, I read tons of books, but the library is my best friend. I hardly ever buy brand new books, but I bought this one. It’s so good, and filled with hope in hard situations. (Side note: her short podcast series Grace Talks is still my favorite podcast ever). This is the second study I’ve done by Jennie Allen (the first one was Stuck) and again I am so thankful for the books and studies that are in my life at just the right time. 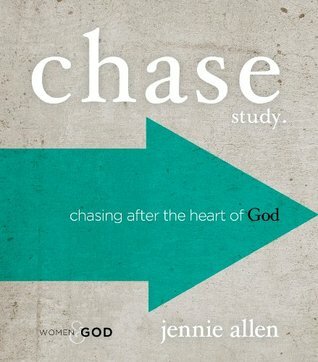 Chase begins with a chapter called “Identity” and that is perfect. I’m finding you have to come face to face with who you are without God and with God before anything can become clear and you can live in the goodness God gives us. Chase studies the life of David and so far it’s been eye opening to look at stories I’ve read a million times (like David and Goliath) through the lens of how David’s belief in God changed his actions when compared to everyone around him. Truly, what we believe about God and ourselves changes everything. So that’s what I read in September. And now it’s October! I’ll be back in a few days to post my reading goals for this Fall. Until then, have a great start to October! Thank you for the book suggestion of All The Pretty Things. It was compelling and hard and convicting at the same time. I have recommended it to several people since. Her blog and studies are interesting also. Yes, ditto to all of that! I’m so glad I could encourage more people to read it and that you enjoyed it. Edie Wadsworth is one of my favorite online people. She also did a short podcast series, only six episodes, but if you haven’t heard it, it’s well worth listening to. It’s on Living a Life of Calling and is very thoughtful and well presented. It would help if you spelled “high” correctly, lol! I don’t do guest posting, but thanks for the offer. So love your writings and you. They both are blessings to me. Thank you for your realness.